Karabakh is a region in the eastern part of the Armenian Highlands. 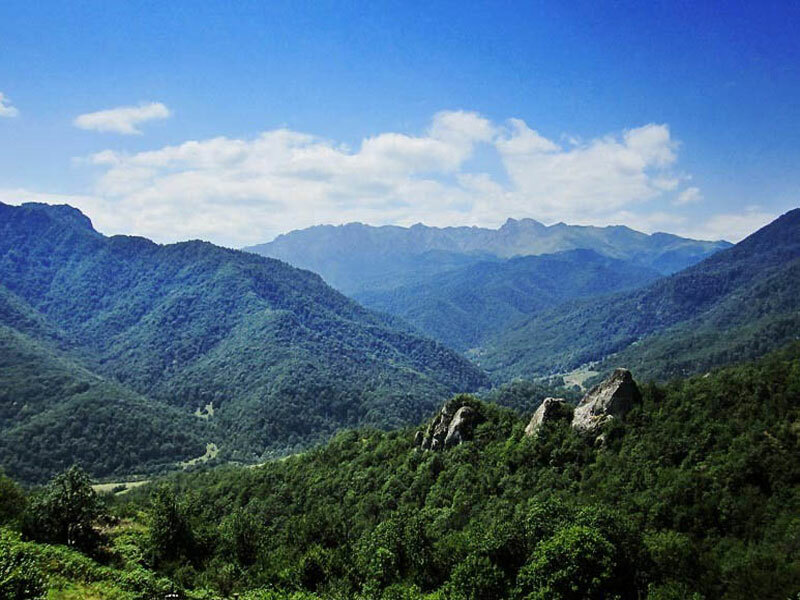 Since ancient times, this region has been famous for its amazing and unique nature: the high mountains covered with thick forests, deep gorges and canyons, caves and grottos, mountain streams, and numerous rivers – all this defines the traditional landscape of Karabakh. 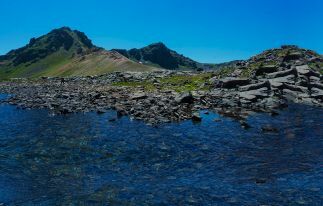 Thus it is not surprising that lots of tourists from all over the world come here to enjoy beautiful landscapes, climb the mountains, and canoe! However, Karabakh is famous not only for its nature, this region is considered a real museum under the open sky! Ancient temples and churches, monuments of architecture, literature, history and archeology cover all the territory. 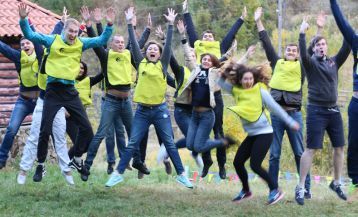 So, if you want to run away from monotonous everyday routine and discover new traditions and exotic culture of ancient civilizations – then the tour to Nagorno-Karabakh is what you need! If you are not a citizen of Armenian Republic, you need to get a visa and pay an appropriate fee to enter the territory of the region. 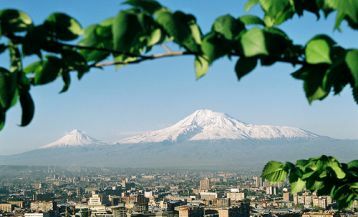 A tourist visa is issued by NKR Representation in the Republic of Armenia, and the fee is about $ 6. This visa gives a permission to stay in Karabakh no longer than 21 days. In exceptional cases, the visa can also be obtained in the Ministry of Foreign Affairs of NKR, in Stepanakert. If you are traveling to Karabakh not in a tourist group, then you have only two ways to get from Yerevan to this region: by taxi or by mini-bus. Mini-buses depart to Karabakh every day, but it should be noted that they are slow and not very comfortable. There are no trains that go to Karabakh in the country. 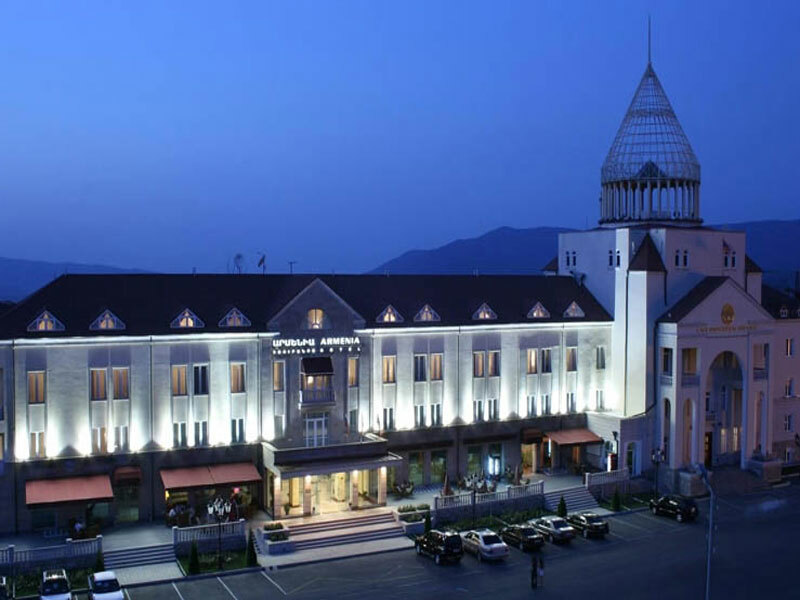 Hotel “Armenia” - Every year the number of tourists visiting the region increases, that’s why in the recent years lots of hotels have been built and renovated in Stepanakert, Shushi and other cities of Karabakh. 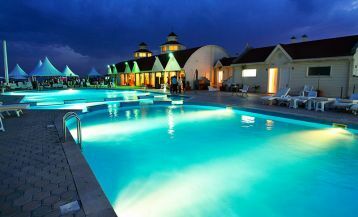 Below we offer you a list of both the well-known and high-quality luxury hotels and economy ones. Hotel “Armenia” (4*) is situated in the center of the capital Stepanakert, on the Renaissance Square. The hotel offers 55 comfortable rooms, as well as the business center, sauna, and fitness center. Prices here start from 22,000 AMD ($ 45). Hotel “Park Hotel Arcakh” (3*) is situated in the center of Stepanakert in the building recognized as a monument of history and culture. The hotel offers 25 comfortable rooms, a library, business center, conference room, souvenir boutique, currency exchange and ATM. Prices here start from 22,000 AMD ($ 45). Hotel “Heghnar” (3*) is situated not far from the capital center in a quiet park zone. The hotel consists of three buildings and has 25 comfortable rooms, as well as a wellness center, stadium, and a small pool. Prices here start from 18,000 AMD ($ 38). Hotel “Avan Shushi Plaza” is situated in the very center of Shushi city and offers 31 rooms for its guests, as well as a restaurant, conference hall, sauna, business center and free internet. Prices here start from 10,000 AMD ($ 20). Hotel “Shushi” is decorated in ethnic style and is situated not far from the city. It offers a beautiful view of the cathedral and the city itself. Prices here start from 5,000 AMD ($ 11). In addition to the hotels, there are guesthouses, hostelries and tourist village houses in Karabakh. As noted above, Nagorno-Karabakh is a real museum, which has so much to tell and show to its guests! 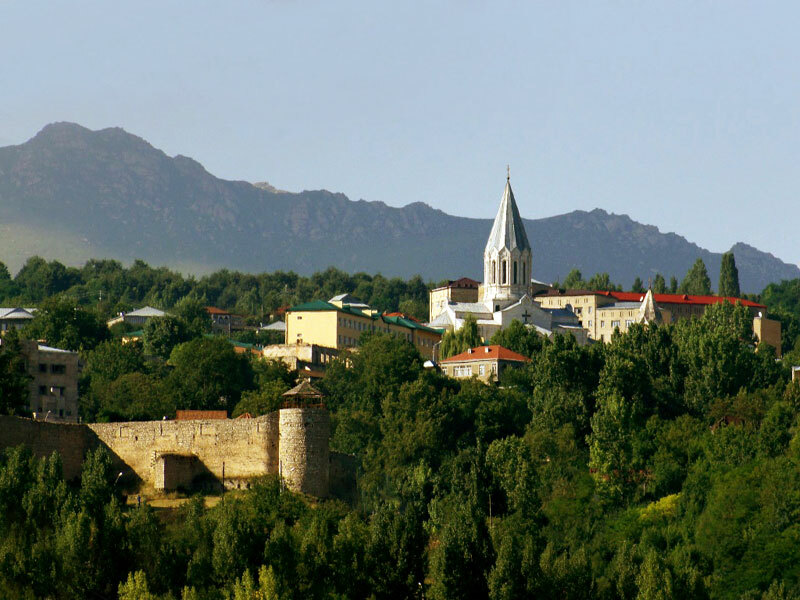 We will start our review of sights with the most important city – the capital Stepanakert. By European standards, it is a fairly large city (population: 55,000 people), in which hospitable and friendly inhabitants live. During the war, the city was bombarded and badly damaged. But now no traces of the war exist, the city was restored and built up with new buildings. 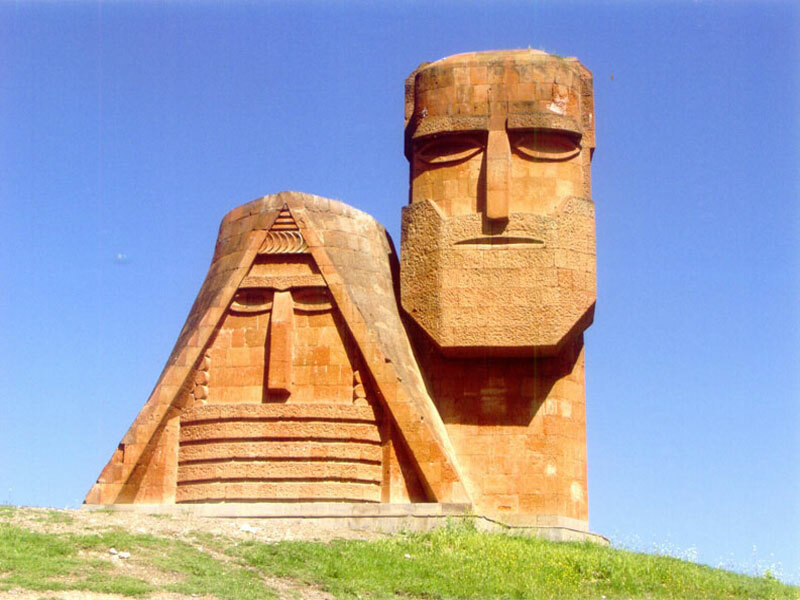 Right at the entrance of the city, visitors are welcomed by the monument “We and Our Mountains”, which is a symbol of all Nagorno-Karabakh. The Veracnund (Rebirth) Square is the heart of the city; here you can see the Presidential Palace, buildings of the Parliament and theGovernment, the Palace of Youth. Every evening, locals and visitors gather on the square to admire the unique illumination and laser shows. In the center of the city, you can also see – the State historic and local lore study Museum of Artsakh, where the whole history of Karabakh is shown, the Museum of Victim-soldiers “Azatamartikner”, the Museum of Missing soldiers, the Drama Theater, and also Artsakh State University. High in the mountains is the town of Shushiis situated, which for many years has been considered religious, cultural and educational center of Nagorno-Karabakh. Fresh air, pleasant climate, wooded surroundings, mineral water, and rich historical heritage make this city one of the favorite holiday destinations for the tourists. Shushi fortress is one of the main attractions of the city. The fortress walls were erected in the 18th century. At length they were 2.5 km and at height – 7-8 meters. The fortress has a hidden way, the base for storing weapons and it played a great role in protecting the region. Ghazanchetsots cathedral is a majestic building built in 1888 of white limestone. The cathedral is decorated with exquisite carving of finest work. The special majesty to it is given by a dome, towering against the azure sky. Museum of History of Shushi – it is a local lore museum, which is located in two 19th century buildings. The museum will help you to get better acquainted with the history of the city. There is also a separate room dedicated to the liberation of Shushi (May 9, 1992). 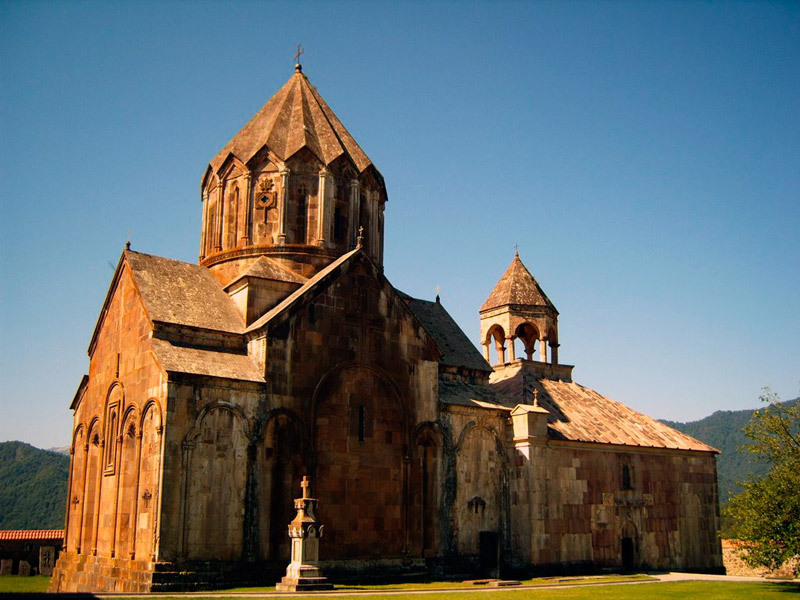 Gandzasar Monastery (St. John the Baptist) is the symbol of ancient Christian traditions. It is situated on the hill near the river Khachen. The monastery was being built from 1216 to 1238. This magnificent building is one of the finest architectural creations, which embodied the best achievements of Armenian architects of the 13th century. In Martakert region, you can also see the Monastery of Yeghishe Arakyal , the Monastery Yerek Mankunk, the Monastery Akobavank (St. James), Convent of the Holy Saviour. Karabakh cuisine coincides a lot with the Armenian national cuisine. There is also an extensive use of meat products, vegetables, and lots of greenery growing on the mountains and hills of Karabakh. As well as throughout Armenia, people here serve dolma, kebab, khash and other national dishes. However, there are some dishes in the region that do not occur in the cuisine of other regions of Armenia. For example, zhengyalov hats is one of the most popular and favorite in Karabakh. The preparation of this dish is a real rite, which gathers all the relatives and friends at one table. It is prepared mostly by women, who pass their experience and personal secrets from generation to generation. At first housewives cook the dough and roll it into a thin and flat cake, which is filled with 20 different sorts of finely cut greens. The cake is baked on the burning hot brazier named “sadj”. The tastiest is to eat it burning hot, straight from the sadj! Kurkut is another traditional dish, which is prepared from soaked wheat, and then cooked during all night with pork, turkey or goose. Rarely will anyone remain indifferent, after tasting this amazing dish. The local regional cuisine is also rich in a variety of vegetable dishes and salads. You can try dishes from sorrel (aveluk), mallow and snowdrop bulbs, of which they prepare salads, soups and serve with matsun and nuts. 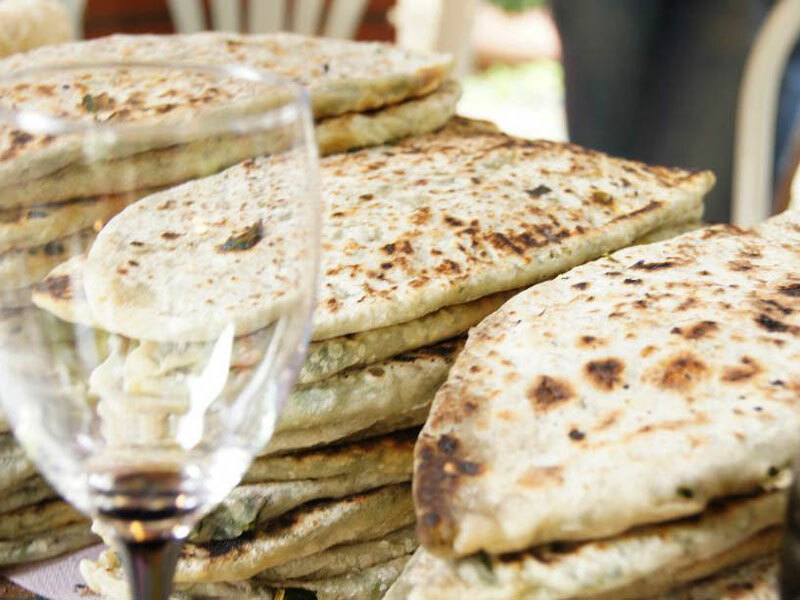 The most popular kind of bread here is lavash and tonraats – a special kind of bread, which is found only in Karabakh. During the tourist season, most of the restaurants, cafes, and bistros in Nagorno-Karabakh work from 12 pm to 2 am, however, the most popular work around the clock during the peak season. Restaurant “Russia” is situated in Stepanakert on Sasuntsi David Street. It is one of the most popular places in the city. Mainly, the restaurant is specialized in Russian cuisine; however, the Armenian dishes are served as well. Restaurant “Viaggio” is the only Italian restaurant in the capital, where you can taste pizza, pasta, steaks, fish fillets and other tasty dishes. Restaurant “Ludwik” is situated in the center of Shushi and offers Armenian national dishes, various salads and barbecue. Café “Ureni” is situated in Stepanakert on Tumanyan Street and is very popular among local business people. Menu offers a mix of Armenian, Russian and European dishes. It also serves the most delicious zhengyalov hats in Karabakh! Café “Tashir Pizza” is situated in Stepanakert on Azatamartikner Street and offers pizzas for every taste. Those who don’t like pizza can order various soups, salads, and desserts. It is a well-known fact that about 25 years ago military activities took place in Karabakh, and then for a long time the situation in the region was very difficult. Subsequently, all the conflicts have been adjusted, and the city was rebuilt. However, it is still widely believed among tourists that a visit to this region is not safe. In reality, the situation there is calm and stable. The authorities pay great attention to the development of the tourist industry and ensure safety for tourists. The locals are very hospitable towards their guests, who have done such a long way to see their country! 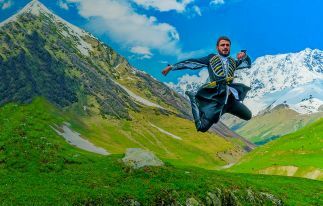 It is enough to spend no more than five minutes in any of the cafes of Karabakh, and you will be approached by some locals who will try to tell you what interesting things you can see or try in their region. Although the region is considered absolutely safe for tourists, there are still some safety tips that should be kept in mind. The border between Nagorno-Karabakh and Azerbaijan is considered a conflict zone, you shouldn’t visit this zone by no means, as the army patrol of Nagorno-Karabakh immediately will send you back to your own safety.